That’s right – we’re doing it again! Why fly when you can spend the entire day driving to QuickBooks Connect! As you can imagine, a lot can happen when you put 6 people in a Ford Expedition for 445.5 miles, but here are 6 ways that we’ll know the trip was worth our effort! Be sure to follow all of us for #QBConnectOrBust updates! 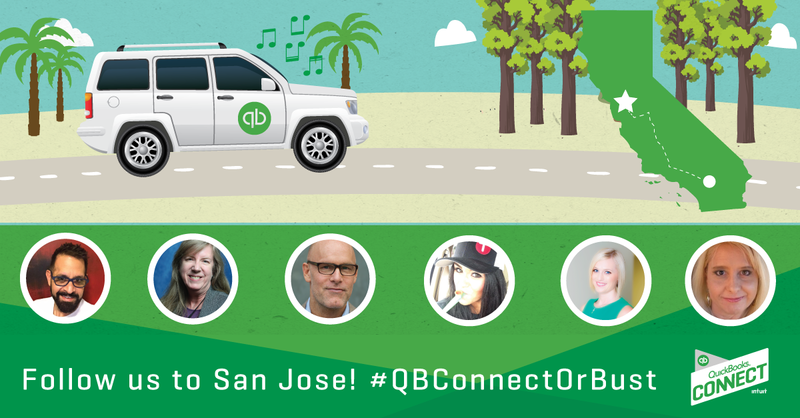 We’ll be tweeting from the road as we make our way to #QBConnect on Sunday, November 1. This entry was posted in CPAs, Intuit, QuickBooks Online, Relationships, Social Media, Trade Shows, Travel and tagged Accountants, Accounting, Accounting Software, Conferences, QBConnect, QBO, QuickBooks, QuickBooks Connect, Road Trip, Trade Shows, Travel by Kimtuitive. Bookmark the permalink.